Two "Days of Arcade" Games arrive this week to enjoy. Flock! and Puzzle Quest will arrive Wednesday for Xbox Live Arcade, and Thursday For The PlayStation Network. 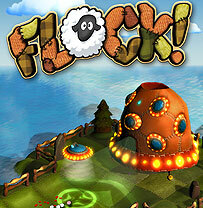 "In FLOCK!, you control a UFO herding animals to its mothership. You will have to overcome the stubbornness of the temperamental beasts and a series of environmental puzzles. By finding or making a passable route, you can herd the animals safely toward the ship. Solving the puzzles within the time limit yields exciting rewards but you can also take your time to find hidden bonuses." "Play as a rogue pilot and gain skills, craft items, and maneuver among political factions as you attempt to end the genocide. 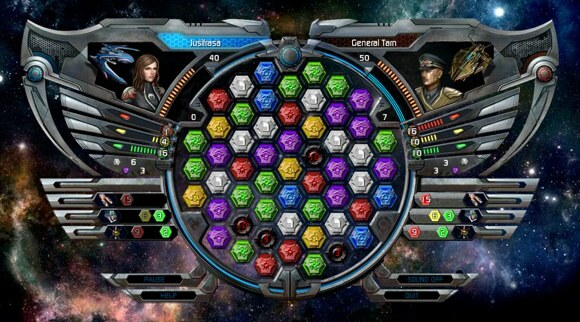 Use Puzzle Quests’s signature RPG/puzzle gameplay to command a fleet of ships as you scour the galaxy for clues, interact with alien species, and battle to save the human race."